Rosslyn Chapel, properly named the Collegiate Chapel of St Matthew, was founded on a small hill above Roslin Glen as a Catholic collegiate church (with between four and six ordained canons and two boy choristers) in the mid-15th century. Rosslyn Chapel and the nearby Roslin Castle are located at the village of Roslin, Midlothian, Scotland. The chapel was founded by William Sinclair, 1st Earl of Caithness (also spelled "Sainteclaire/Saintclair/Sinclair/St. Clair") of the Sinclair family, a noble family descended in part from Norman knights from the commune of Saint-Clair-sur-Epte in northern France, using the standard designs the medieval architects made available to him. 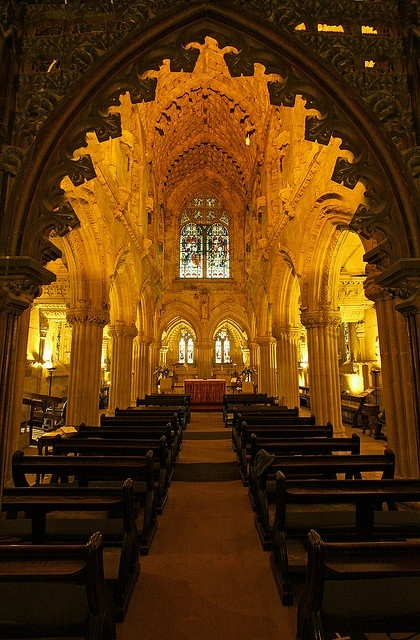 Rosslyn Chapel is the third Sinclair place of worship at Roslin - the first being in Roslin Castle and the second (whose crumbling buttresses can still be seen today) in what is now Roslin Cemetery.